The white-crested helmetshrike belongs to the Prionopidés family. Its size varies between 19 to 25 cm with a weight of 25 to 49 gr. 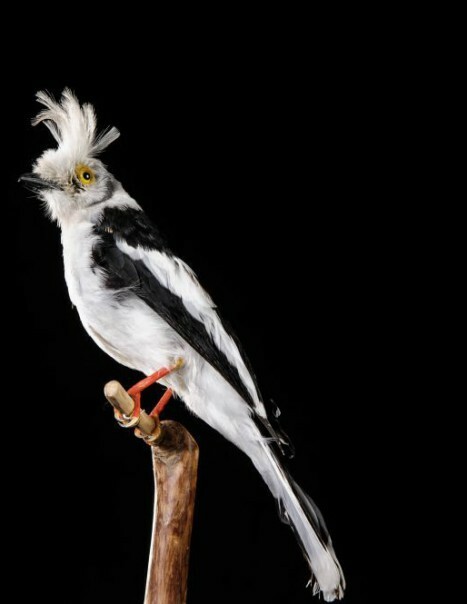 The white-crested helmetshrike is a remarkable bird often in groups, it evolves in the foliage of trees. The adult has the coat, the wings and the tail black. The upperside has a wide and long white wing bar. Black tail has black central tail feathers and white outer and the end. The underparts are pure white. On the head, forehead and crown are pure white. The adult wears a white crest rebellious, often bent forward, about 45 mm long. A black bar shaped as a narrow crescent behind the eye. The neck is tinted gray but the neck is white. Beakl is blackish. The eyes are dark gray surrounded by a surprising orange-yellow eye-ring consisting of a jagged fringe like a yellow flower. The legs and feet are pinkish-orange to red. Both sexes are similar and the Juvenile is brown. It took it a year to get the adult plumage. There are five subspecies of different sizes that share the Saharan distribution. The white-crested helmetshrike is a noisy bird when in groups, it has a vast repertoire of calls, including clicks, pops beak, grunts (rather aggressive), buzzing, hissing and cackling. Many calls are uttered in chorus or duets, including during territorial displays both partners of the couple perform duets to maintain their links. It breeds in tropical and subtropical dry forests. Outside this period, these birds roam in the savanna, acacia forests, coastal woodlands, forest edges, grasslands with scattered trees, palm plantations, eucalyptus, pine and in gardens and urban areas. It is visible up to 1800 to 2200 meters. It lives in sub-Saharan Africa, Senegal, Sudan, Ethiopia, Kenya, Angola and South Africa. It feeds on small invertebrates, small reptiles and fruits. It hunts at half height of low vegetation. It is often seen among the leaves, branches, twigs, or on the ground in winter. The white-crested helmetshrike makes seasonal movements including migration for some populations, where altitudinal outside the breeding season. The southern populations are nomadic in the dry season. It breeds in community. All involved in tasks related to reproduction but the couple chose the site. There is a hierarchy between them, in descending order of dominance stable for a period of ten years. The nests are at least 50 meters of each other, they are territorial during the breeding and the territory is defended by all members. Its flight is strong with great dragged and with acrobatics like a butterfly. The breeding season varies according to the distribution. Then the couple chooses the nest site. This is especially built by both partners, but they are assisted by the aid. It is a compact cup made of pieces of bark and completely covered with cobweb carried in the beak and feathers on the end of the ridge. The interior is lined with fine materials such as rootlets, grass and lichens. With the spider web, the cut is perfectly camouflaged. It is situated between 2 and 10 meters high on top of a branch, often in a fork. The same site is often reused year after year. The female lays 2 to 5 eggs, but sometimes two females can lay in the same nest, giving brood up to nine eggs. Incubation lasts about 16 to 21 days. The nestling period is 17 to 22 days, during which the chicks are fed and incubated by all group members. The young birds are fed for another ten weeks after leaving the nest. After five months they disperse or they remain in the group and become aid. If a brood is lost or destroyed, it is generally replaced. It feeds on caterpillars, butterflies, moths, grasshoppers, crickets, flies and spiders. It also feeds on small reptiles such as geckos and fruit. When hunting in the trees, it can hang upside down or snap up insects. 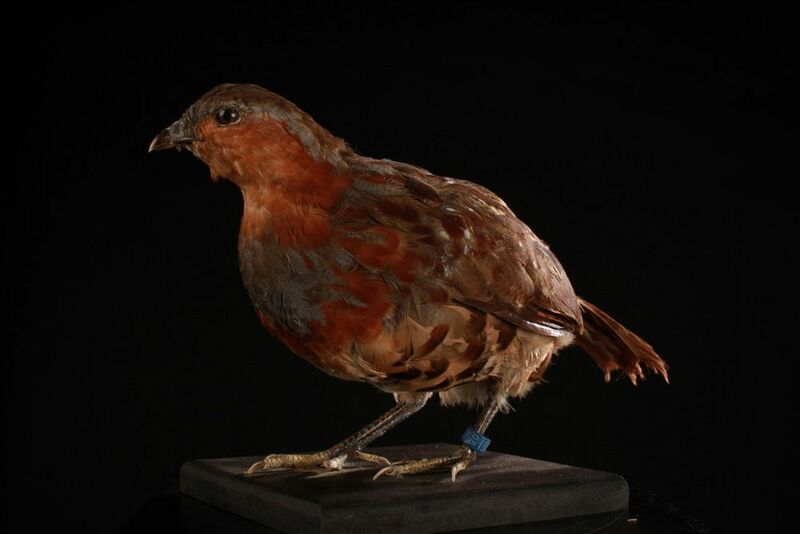 This species lives and feeds in groups of 2 to 20 birds in an area sometimes shared with a neighboring group. This species is preyed upon by mammals, reptiles and birds of prey, but populations are not currently threatened.